interior designed home office decorating plansAll week last week during the 6 Days of Spring, I shared bits and pieces of my moodboard for an interior designed farmhouse inspired office makeover. I was inspired by black and white spaces, and even though there’s a bit of my beloved aqua here and there, the main scheme is turning it into a black & white beauty. 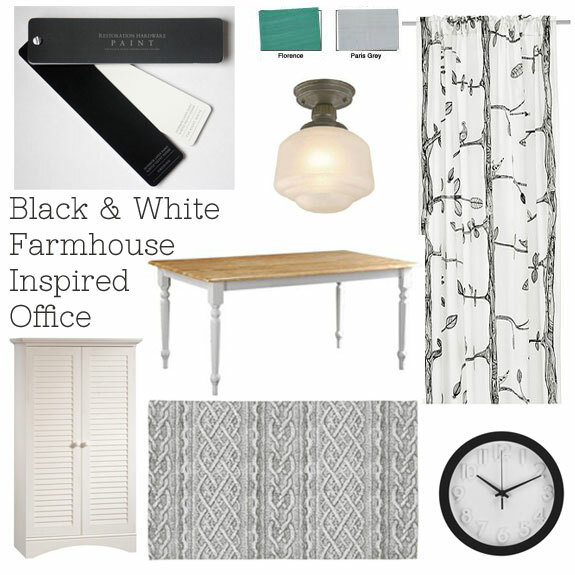 I’m all about pulling together mood boards to make sure that it’s all going to look good together, and I thought I’d share my Black & White Farmhouse Inspired Office. The first thing I always do to a space is paint. It makes a huge change for just a little money, in just a few hours. Three walls are white, with the 4th painted black – not chalkboard but a regular latex. 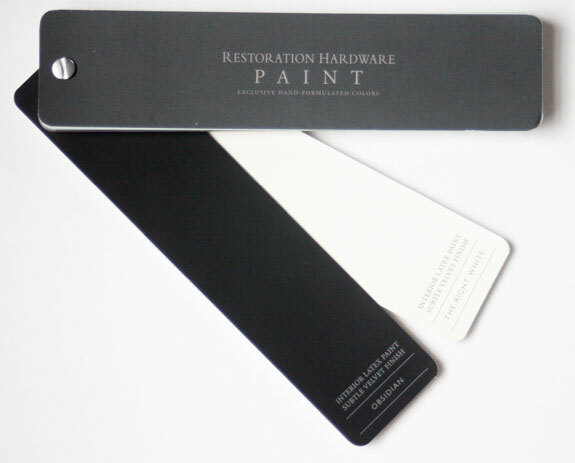 I chose Restoration Hardware colors Right White & Obsidian. It’s a great pair that works so well together. Besides the black & white, I also added in a dash of Annie Sloan Chalk Paint, using Paris Grey and Florence. 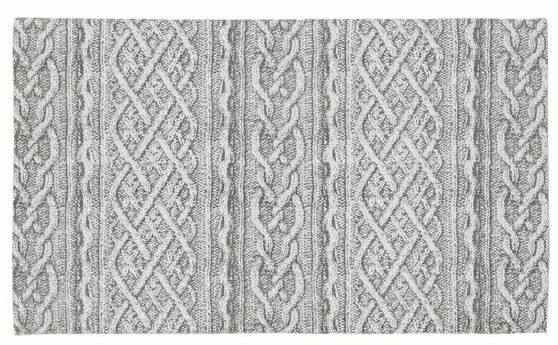 I did buy a few things, including this Cable Knit Pattern Rug from West Elm. Can you believe that it was on clearance for only $49 for a 5×8 rug? Yeah – run get ya one before they sell out! I also found an amazing modern style clock at Target. I found mine on clearance in store for $4.98, but they also have them online for only $6.99. Since I made everything else all about me, I replaced the light, too. There’s a little DIY that went on, but it started with this farmhouse inspired light. I’m going to share how I Gina-ed it up, so keep your eyes peeled for that one. I mean, when you start with a $30 light, you can play with it a little, ya know? Now let’s talk about furniture! Of course, we build all of ours, but I did find some very similar pieces online just to share the look. I needed a big cabinet to hold all the stuff that I use, and so Mr. SCC got his build on and made me a huge piece that works perfectly. If you like the one above, you can find it at Target for about $200. I already owned a farmhouse table that Mr. SCC built a few years ago, and it’s a huge workspace that is perfect for my needs. It’s a little different from the white farmhouse table above, but if you’re loving the look you can find that one at Walmart.com. And now you have a sneak peek into my interior designed office! We’re almost to the big reveal of my farmhouse inspired office, but I’ve got just a few more projects to show before we get there. ps. I wanted to tell you-but maybe you already know- when I open your blog I get two or three pop-ups-one right on top of the other that I must deal with before I can read your blog…..
Those curtains are so fun looking. I like black and white and seem to be using quit a bit around my house. Looking forward to seeing the final results. Beautiful! Those curtain panels are to die for! How much patience do you think this one person has?? I NEED to see your office! Ooooh, I know it’s gonna be fantastic! I have that same table you show…got it at a yard sale for $15, but the top is warped. Got on line and found that turning it upside down, in the sun, might help. Any other ideas? Anyone? I love black and white, but I don’t think I could pull it off – I have to many bits and pieces of stuff that wouldn’t fit in. But then again, I never thought of painting all the bits and pieces. Hmmmm…. I LOVE the mood board! You should go link up at Design Your Dwelling today. I adore that rug! Can’t wait to see the finished room! Great board, I love black and white together. It is so classic, I can’t wait to see the finished room. Ever since seeing your sneak peek on IG, I’ve been waiting for this post! I can’t believe those curtains are from IKEA….they are to die for! 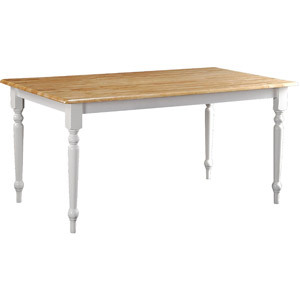 And of course, what’s not to love about a farmhouse table? Gina – Your room looks like it is going to be delightful!! The mood board really sets the tone and yours looks great! Great post, I love the idea of a black and white themed office. Can’t wait to see the reveal. This will be gorgeous! I’m dying over those curtains. STUNNING! Love your board. I’m re-doing our spare bedroom in gray’s, black, white and splashes of purple and lime green. I bought those very drapes from IKEA and I love them! !